I need to post something here. Thing is, there’s no Rock School “news” right now, so what should I post? 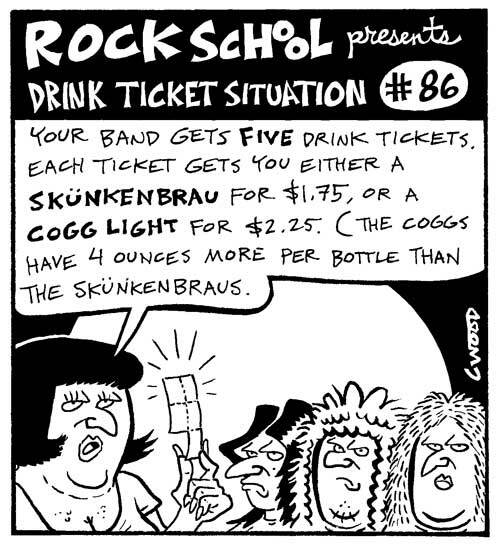 I thought I’d try an experiment and pretend that Rock School is a single panel comic. I should say that I have no intention of posting a comic every day. But I wanted to see what a single panel comic would look like. So I made this one. Looks okay, but maybe it’s a bit too dry – too subtle. 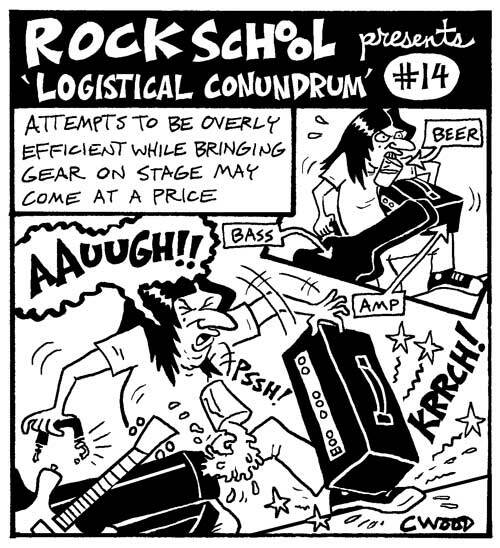 The Rock School strip works better when an interaction of some sort is demonstrated, either within “the band” or with others in the music “scene.” Hmmm. How about a single panel comic that shows a club owner? That’s a little better. But you know what? There needs to be some physical comedy. And physical comedy requires a bit of cause and effect. Like, perhaps this example. Seems “cause and effect” really needs more than one panel, right? 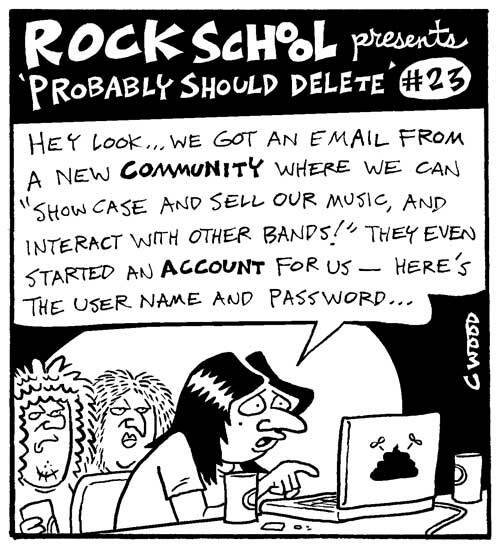 Maybe the single panel comic doesn’t do Rock School any favors (either that or I need to try some more). I think I prefer the larger format showcased in the Comics area of this site.